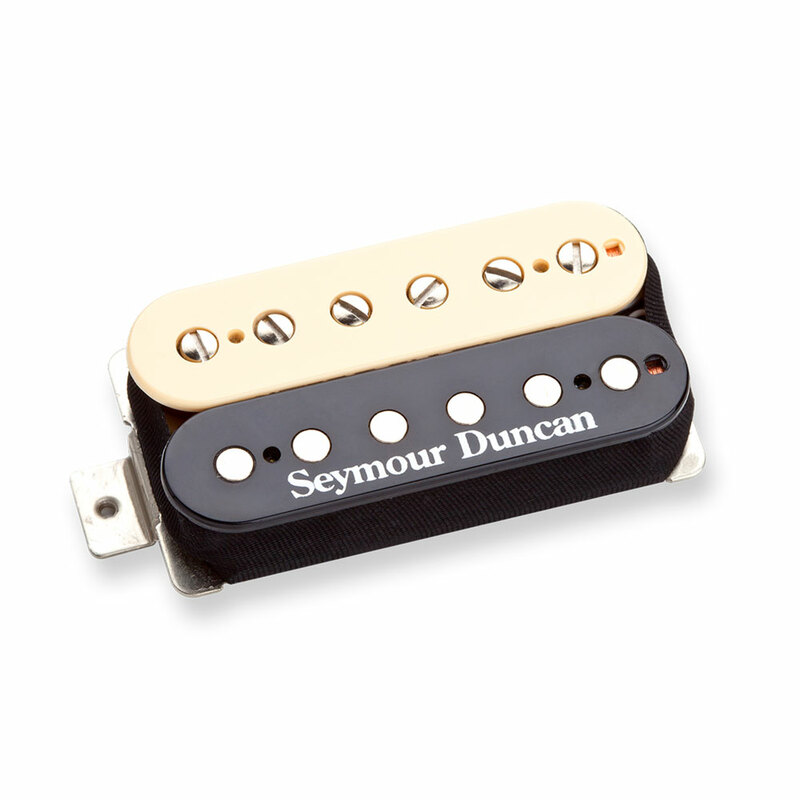 The Seymour Duncan Jazz Neck Humbucker is a bright, vintage output humbucker which stays clear even under extreme distortion. Originally designed as the matching neck pickup for the JB Model bridge pickup, the Jazz is an incredibly versatile humbucker that will work for almost any style of music. An Alnico 5 bar magnet and a special coil wind give it a glassy treble response and full, tight bass while scooped mids help each note to sing clearly even under extreme high gain or high speed. It pairs especially well with the JB, Distortion or Invader but is a great all-purpose neck pickup for many pickup combinations.